Orange Milkweed Bug - Spilostethus sp. This page contains pictures and information about Orange Milkweed Bugs that we found in the Brisbane area, Queensland, Australia. Found this bug once on 2002. 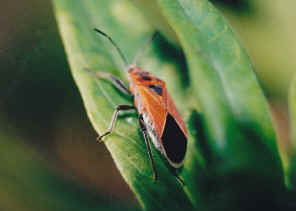 This could be just a colour variation of the other Milkweed Bug species. 4. 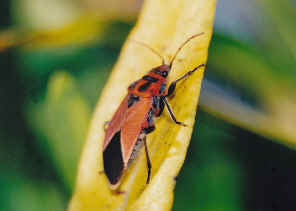 Lygaeus cardinalis Stål, 1866 - Swedish Museum of Natural History.